Besakih Temple Tour is a prominent full day sightseeing trip to explore a majestic Hindu shrines which common called Bali Mother temple. A marvelous location as the widest holy places that existed on the slopes of an active mount Agung (highest volcano) even backdropped Besakih temple itself. And Besakih Bali travel program with its core itinerary will visit variety interesting sights that most hunted by many tourists when they do Bali holiday tour packages. 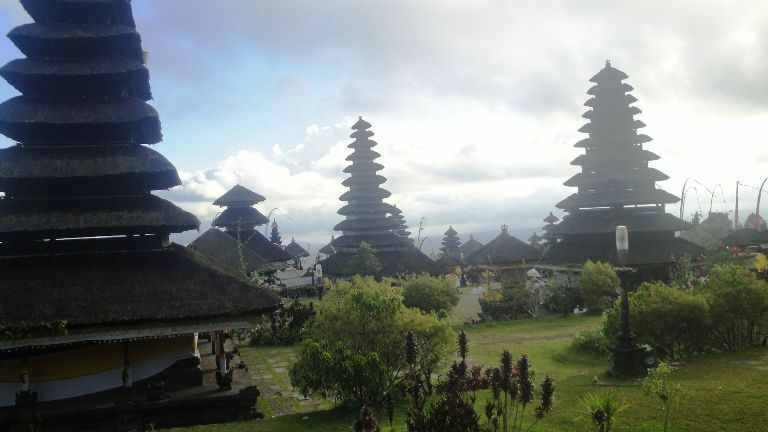 Which certainly, Besakih tours is one of a highly suggested full-day tour, from Sorga Bali Tours (Online organizer for holidays, Adventure packages and Bali tour service activities). A unique traditional Balinese dance performances that regularly staged at Batubulan village, describes about good and bad of human life's character, taken from a famous Hinduism epic story "Mahabharata", that symbolized by 2 personalities between Barong (mythical of beast power) and Rangda (witch energy symbol). 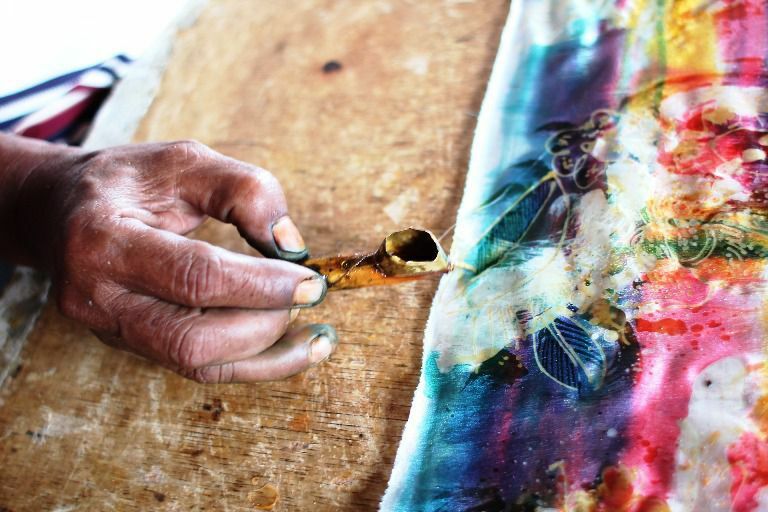 A region in Bali which famous with its Batik painted and Hand weaving that still using a traditional method in processing woven fabrics. 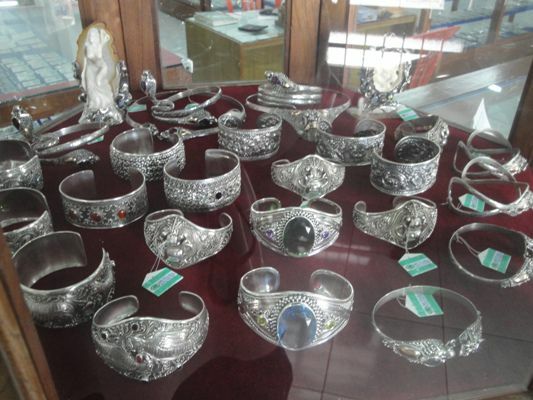 A popular centre place of jewellery handicrafts gold and silversmith in Bali, which still using a traditional method system. 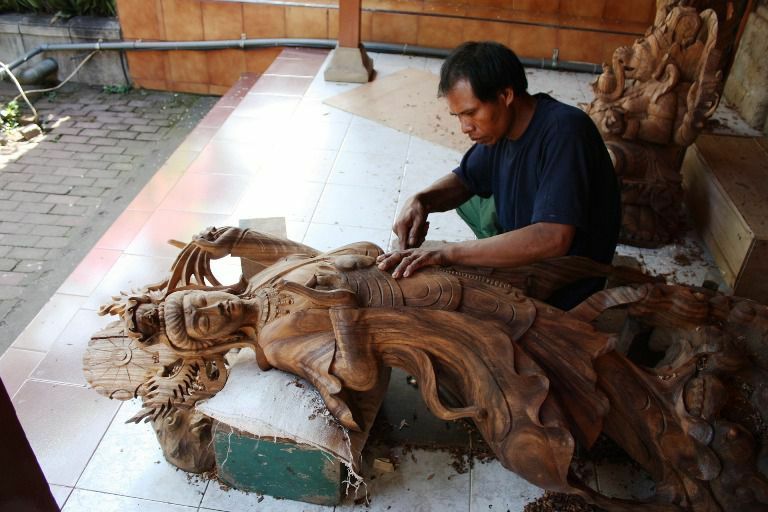 A prominent area in Bali as center handicrafts of wood carving, sculptures and all kind of furnitures. Ubud art village is one of the most well-known area in Bali that becomes goal of inspiration from many artists, also as centre valley gallery arts of paintings. 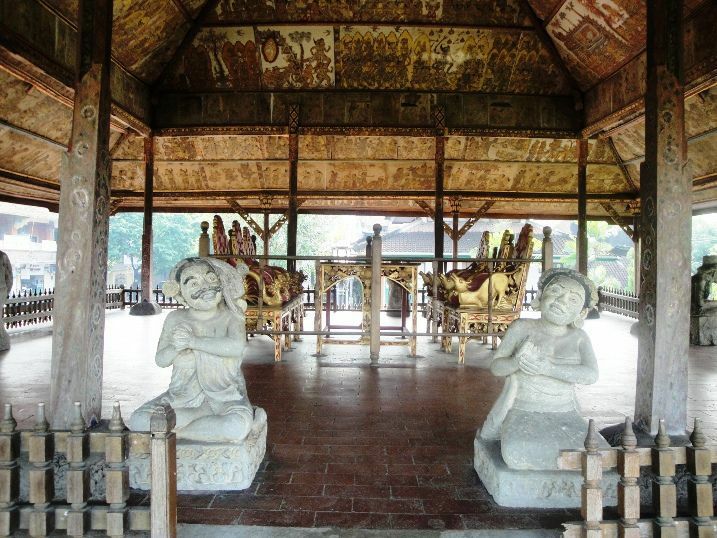 Kertagosa is a traditional building construction with function previously used as "Hall of Justice", and this relics is from Klungkung kingdom era that built during king "I Dewa Agung Jambe" reign in 1686 AD. 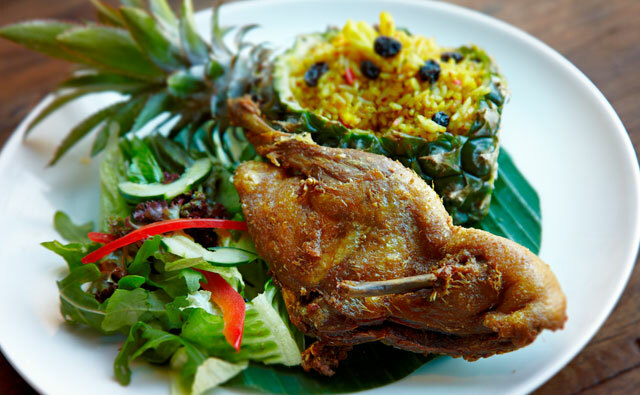 Bukit Jambul restaurant is a beautiful spot to enjoy delicious variety of lunch dishes while relax facing overlook rummy view of rice-fields. Besakih Temple is a biggest and oldest Hindu shrines situated on the slopes of highest mount Agung, which common called Bali Mother temple. Bring enough cash local currency as there will be few ATM or money changers along the way. Although tipping is not mandatory, it is nice to do so when you enjoyed your meal and the service. Balinese generally don't mind having their pictures taken, although it is nice to ask permission before you take a photo. When you come across praying Hindus, try not to walk in front of them and turn off flash if you want to take photo of them. BATUBULAN VILLAGE watching Barong & Keris Dance rates entry ticket IDR. 100.000 per person. 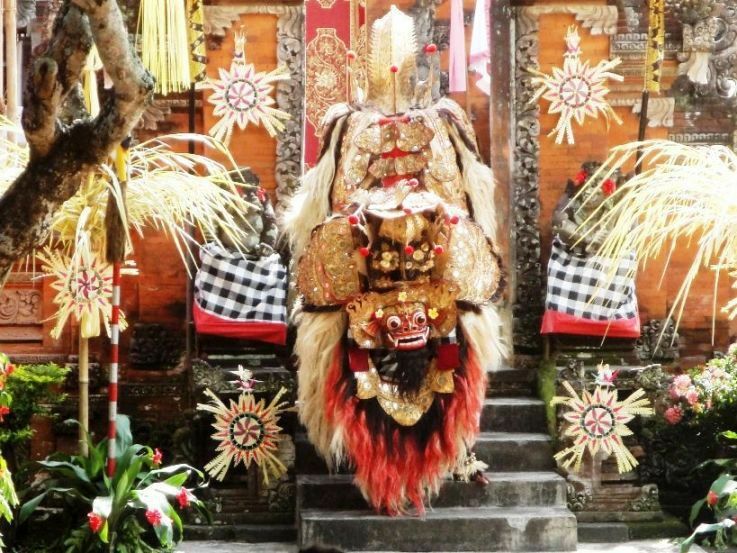 KERTHA GOSA visit Bali Traditional Court House admission fee IDR. 15,000 per individu. 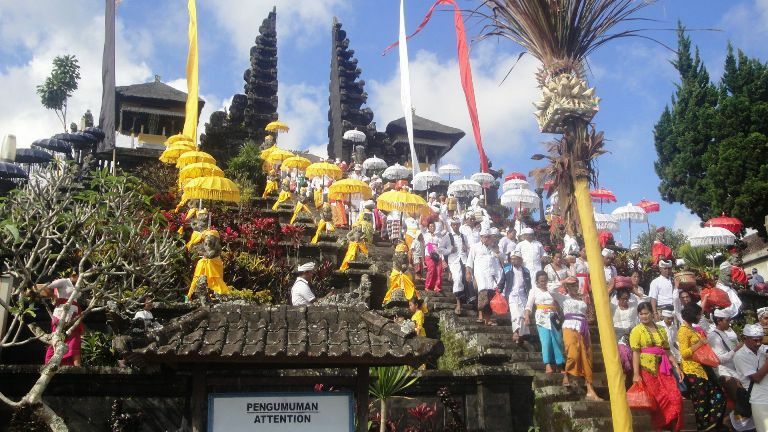 PURA BESAKIH Visit Bali Hindu Mother Temple tourist attraction with admittance ticket IDR. 60,000 per person. After completing all reservation data, then "SCHEDULE PICK-UP" will be submitted. All rates quoted on cash payments. Maximum vehicle capacity up to 6 people. So...that's all the explanation of Besakih Bali Hindu mother temple tour from us. And, lastly how's your record ?. Can't wait to bring your whole family on a Besakih trip ? Let's go touring together !. For detailed Information and Booking Besakih Bali Mother Temple Tour please "CONTACT US" Sorga Bali Tours (Best Bali Holiday Packages).